Yesterday I prepared a satvik rajma recipe no onion no garlic. 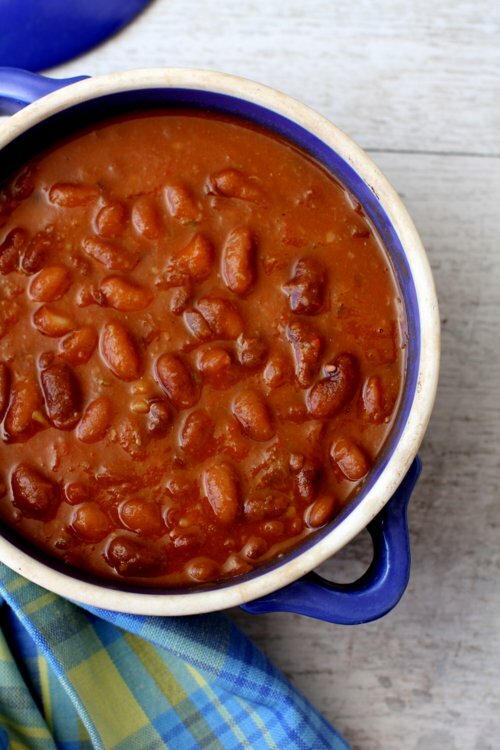 Rajma or kidney beans curry is a favorite among the many North Indian main course dishes. I usually prepare rajma masala with onions as the main base, the recipe of which I have already posted. Today’s rajma is a simple straightforward Jain style recipe that doesn’t take too much of your time in the kitchen. Only the soaking time of kidney beans and the making of homemade tomato puree takes some preparation time. I like to use freshly ground or hand pounded masalas in my cooking and especially so while preparing rajma. It enhances the flavor and the aroma is simply heavenly giving this north indian style rajma curry an authentic flavor as prepared in the langars of Gurudwaras. I have added a generous pinch of asafoetida as I have done away with onion and garlic. Use tomatoes that are not too sour and puree it to a smooth paste. A smooth tomato puree as well as a handful of mashed kidney beans lend a very special kind of smoothness and creaminess to the rajma recipe. 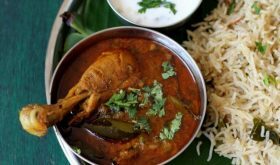 It is a stunning, creamy, flavorful curry that makes for a great side with roti, naan and rice. 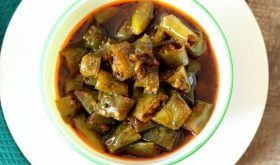 You will love this addictive cury served with warm rice. One of the most comforting Indian food out there. 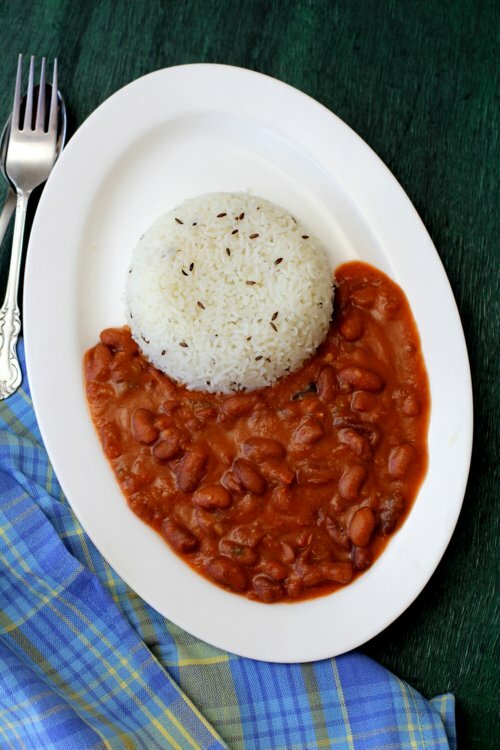 This rajma recipe with tomato should definitely make it to the list of satvik khana i.e no onion no garic recipes. 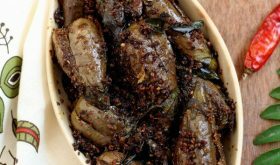 You can serve it with rice, jeera rice or any flavored rice or naan/roti. 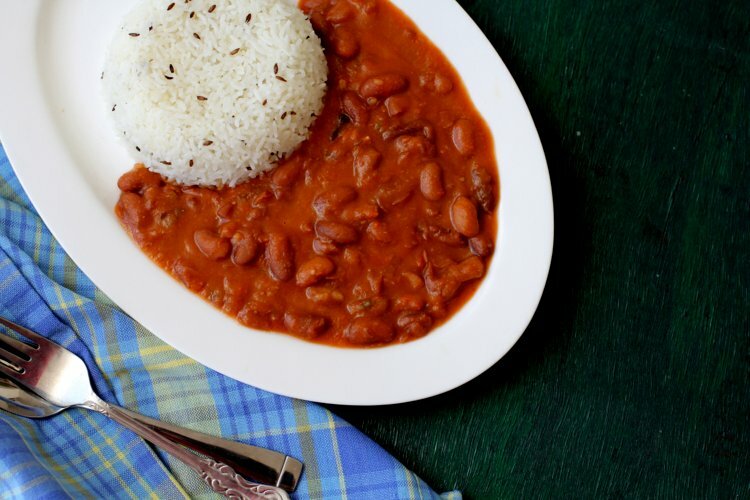 Rajma chawal is pure vegetarian fare at its best! In a pressure cooker, add the soaked rajma along with 4 cups water and salt. Pressure cook until the rajma turns soft on touch and holds shape. Heat oil in a heavy bottomed vessel. Once the oil turns hot, add cumin seeds and allow to turn brown. Add asafoetida and green chili ginger paste. Add the tomato puree and cook on low medium flame till the mixture begins to leave oil. It will take approx 15-20 mts. Add red chili powder and mix. Set aside 1/4 cup of cooked rajma and add the remaining rajma along with the water to the tomato mixture and mix well. Add 2 cups of water, freshly ground garam masala powder and adjust salt. Cook the rajma on low medium flame for 15 mts. Lightly mash the set aside rajma and add to the mixture and mix well. Continue to cook on low medium flame till the required gravy consistency is achieved. Turn off flame and remove to a serving bowl. 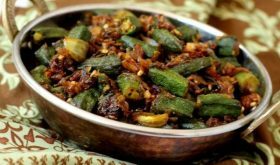 Serve warm with rice or jeera pulao or naan or roti. Try to use a mortar and pestle to pound the garam masala ingredients. It enhances the flavor of the dish by leaps and bounds. Do not use too sour tomatoes and ensure you grind them to a very smooth paste. Do use badi elachi/black cardamom. You can use a slow cooker to cook the rajma or boil them over stove top if you do not have a pressure cooker. Add enough water while boiling the rajma. nice recipe with new idea..will prepare soon..thanks. 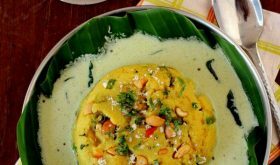 This recipe is specially famous in North India and I have tasted it there. Its is quite yummy and delicious dish. But now I will try at home also with your blog guidance. Nice recipe without onino garlic ! Thanks so much for this recipe! 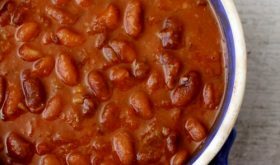 I gave to make no onion/no garlic rajma for 70 and will try your recipe.